Islamabad June 1 (www.pakdestiny.com) Hamza’s marriage with his first wife Dr. Rabia Khan has been postponed for indefinite period because of political reasons. Mian Nawaz Sharif has reportedly spoiled (bhanji mar di hai) on Hamza’s marriage plan. And also his third wife Ayesha Ahad is running after him to become an ‘uninvited’ guest in the ceremony. Poor Hamza will have to remain ‘legally’ single till — big Mian sahib can answer. 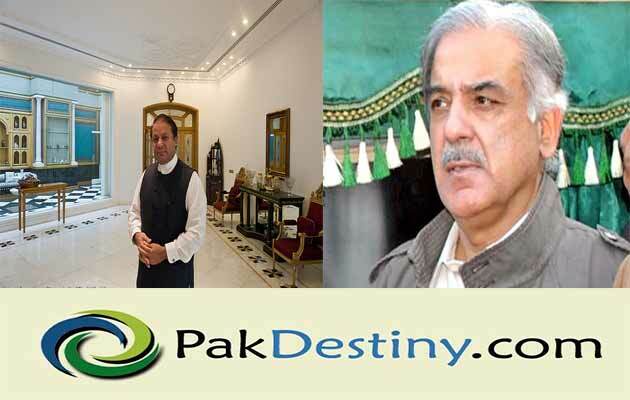 Marriage between the one time couple was planned in the US and Hamza along with his father Shahbaz Sharif and other family members were set to fly off when the elder Sharif intervened and asked the Sharif junior to put off the marriage plan for the time being and settle the Ayesha issue first. Mian sahib is of the view that the family cannot afford a scandal while Ayesha’s issue has not settled yet. Ayesha has already filed a suit against Hamza asking the court to stop him from contracting another marriage without her permission. Hamza, a three-time divorcee, is interested to tie the knot with his three-time divorcee first wife. His love for Ms Khan has rekindled. Hamza Sharif married Rabia Khan in 1999 when both were 25-27 years old. 6 months later, Sharif family was kicked out of Pakistan for fraud and theft. Hamza kept his wife Rabia as a prisoner in DHA Lahore. Some resources say Sharif family considered Rabia as jinxed, regardless she was divorced the same year. After that Hamza and Rabia got married and divorced again. 14 years later Rabia and Hamza met in USA where Rabia had moved with her parents. Since Rabia had a divorce (Halala), marriage with Hamza for the second time was valid. Ayesha Ahad knew Rabia was Hamza’s ex wife.